Budweiser American Ale - wait, what? Since 1876, we've been brewing Budweiser, the great American lager. This year, we're brewing something new - Budweiser American Ale. 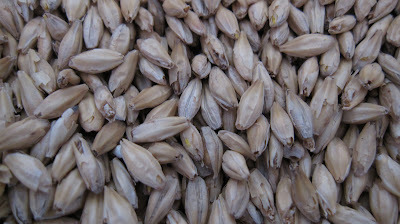 Carefully brewed with caramel malted barley from America's heartland, Bud American Ale has a rich, sweet malt character. Our amber ale is also dry-hopped with Cascade hops from the Pacific Northwest for a noticeably citrus aroma. Budweiser American Ale is more than a new taste... it's a whole new tradition! Cheers! Clearly, AB-InBev (Anheuser-Busch was purchased by Belgian/Brazilian InBev last July) has recognized the impact that the rise of craft beer has had on their sales. And they're not the only ones. The big beer companies seem to be scrambling to do whatever they can to stop beer drinkers from awakening from their light, fizzy lager-induced comas and instead corral any potential 'awakees' into their macrobrewed matrix of faux craft beer. Whether this plan will succeed or backfire remains to be seen. These new developments in the beer world have created quite an interesting debate: Do any of the politics matter if it tastes good? For some, like me, it does. As demonstrated in the recent documentary film Beer Wars, these larger companies clearly care much more about the marketing of the product than the product itself. So when they see a rise in popularity of beer that actually has a taste, all they see is dollar signs. End rant. So how does Budweiser American Ale taste? In short: eh. It's definitely an improvement on "The Great American Lager", but it still leaves a lot to be desired. It has a promising dark amber color, and even a slightly hoppy smell. But in reality, it tastes just like a Budweiser that's had some molasses and a few more hops thrown in. Conclusion: Spend your money on a beer made by someone who cares about what goes into it. Went to Fette Sau again last night for our co-homebrewer Tim's birthday and had some delicious Pulled Pork Shoulder, Pork Belly and Spicy Sausage coupled with Potato Salad and Guss' Half Sour Pickles. All paired with some Arcadia Pappy's Old Ale, which surprisingly was a good combination. Afterwards, we ventured just across the street to Spuyten Duyvil (again), mainly because it was very nice out, and they've just expanded their backyard area. It had completely slipped our minds that Kjetil Jikiun of Nøgne Ø would be appearing to debut some of his brews on tap for the first time in the US. 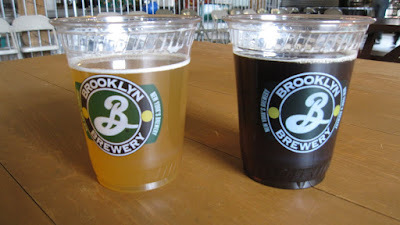 Their offerings were the Imperial Stout, the India Pale Ale and the Framboise de Porter. There seems to be no reviews anywhere on the net for this one, so my guess is that it's brand new. But if you're into sour beers, this may just be the king. At first, it's incredibly jarring. In fact, I ordered the "Vanilla Porter" without even noticing the "de Framboise" written underneath of it. A patron nearby quickly turned and exclaimed that it was sour and pretty intense. I remarked that I loved sour beers, but the bartender brought me a taste anyways, just to be safe. 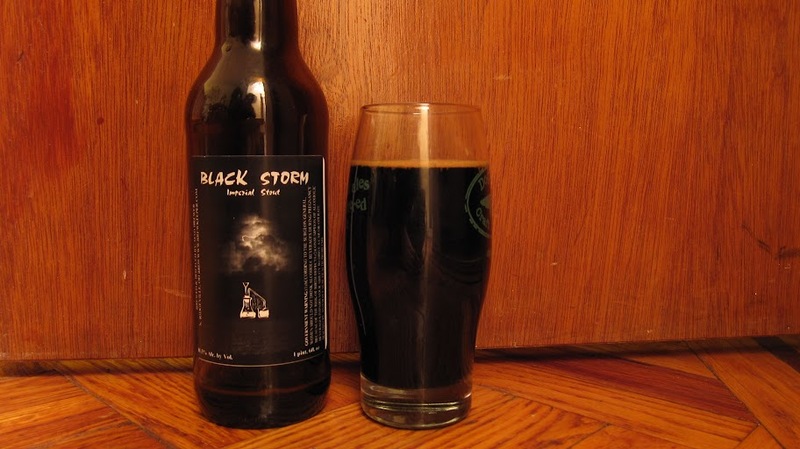 The combination of a smooth, vanilla-infused porter with a vinegar-sour intensity. One of the most complex and interesting beers I've ever had. 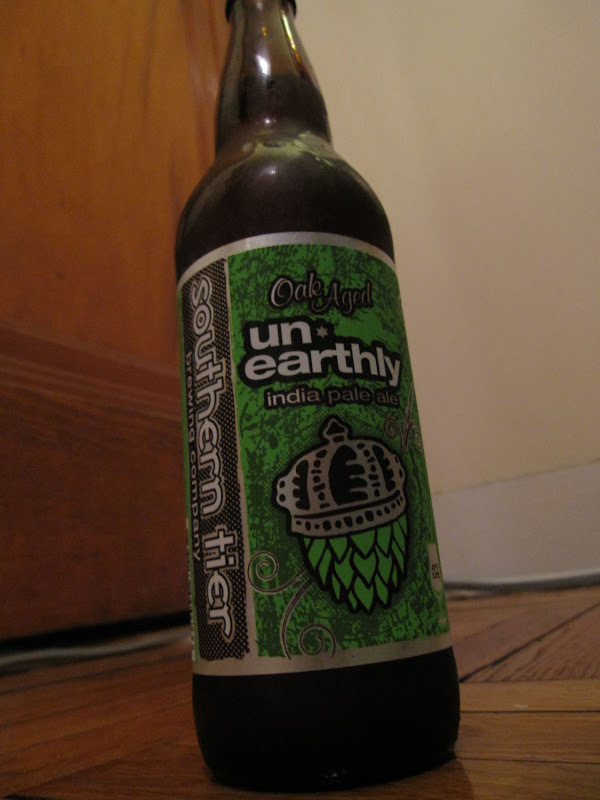 The only negative would be that it might be tough to drink a second, but I feel that is often the case with sour ales. If anyone is in the Philadelphia area, it will be debuting tonight at Monk's Cafe. To drink or to cellar? 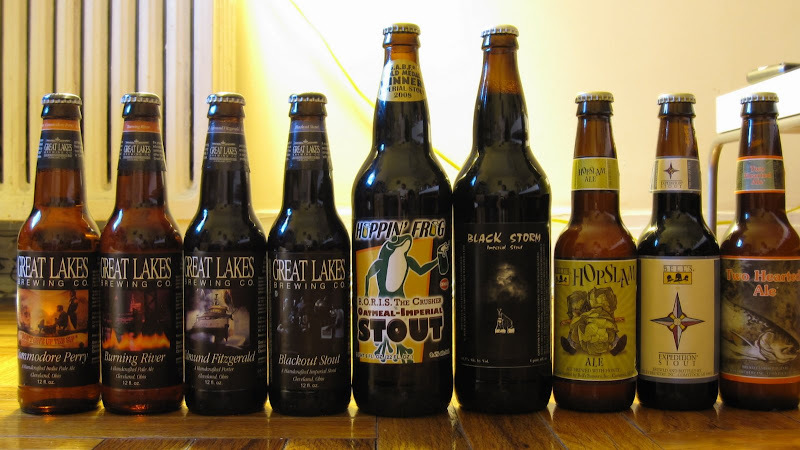 A question that a craft beer drinker faces frequently when purchasing stouts, strong ales and like in this situation, a winter warmer. 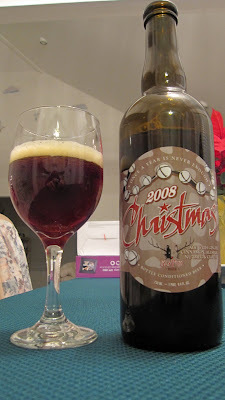 This is the 2008 Sly Fox Christmas Ale. The one above I got for, youguessedit, Christmas and it was pretty good. Slight spicy, cinnamon flavors, but not too high on the alcohol at 6.5%. A few weeks ago, when it was still cold, I encountered another bottle of this and decided to pick it up. It's sat in the back of my fridge since then, and now it's in the 80s. So, should I sit on it for a year or should I just have a Christmas in Spring? 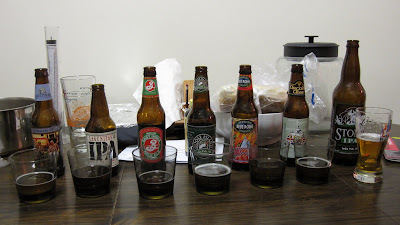 After the Cantillon/de la Senne event at Spuyten Duyvil the other night, my homebrewing friends and I decided to do a bit of an IPA style session. We grabbed 7 different IPAs readily available at the corner bodega (L to R above): Smuttynose, Lagunitas, Brooklyn EIPA, Goose Island, Blue Point Hoptical Illusion, Arcadia and Stone, and compared them all. I came away finding it to be a close call between the Smuttynose and Stone as the best representation of the style. Both have a fresh, sticky-hoppy taste balanced perfectly with citrus bitterness. It's all a matter of personal preference though, as Tim's #1 was Smuttynose with Goose Island coming in second and Jeff's #1 was the Brooklyn EIPA. In reality, every one of these beers would be an enjoyable quaff (I can't possibly be using that word correctly). Last night, brewers Jean Van Roy of Cantillon and Yvon de Baets of de la Senne poured their deliciously rare brews at Spuyten Duyvil in Williamsburg, Brooklyn. This was actually the first time that anyone from Cantillon has ever been to the US, and being able to get their beers on tap is a rare treat, so of course we had to stop by. 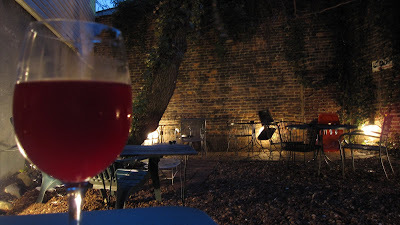 I had the Cantillon Kriek (pictured above and pronounced "creek", which I only learned after googling), a 5% Lambic. This was one unique beer. Your tongue is attacked by sourness, sweetness and cherry notes all at once. You almost get a vinegar taste, but not in a bad way. I don't think I'd ever had a Kriek before, but I would definitely want to have more. I was also able to try the Cantillon Broucsella 1900 and the Brasserie De La Senne Equinox which were both superb as well. These excellent Belgian brews only add fuel to the fire of our plan to do a Belgian Brewery tour in October 2010. No chance in hell would anyone ever be able to guess this was a 11.5% beer. Sheesh. I let it warm for about 15 minutes and then decanted into my new Dogfish Head "Shaped" Pint glass. It's got a nice dark mocha head and a roasty coffee aroma. It's insanely smooth and not overly thick, almost porter-like in its mouthfeel. Not sure of this brewery's distribution, but I would definitely seek out more from them. By September of 2008, we had already spent a year homebrewing. 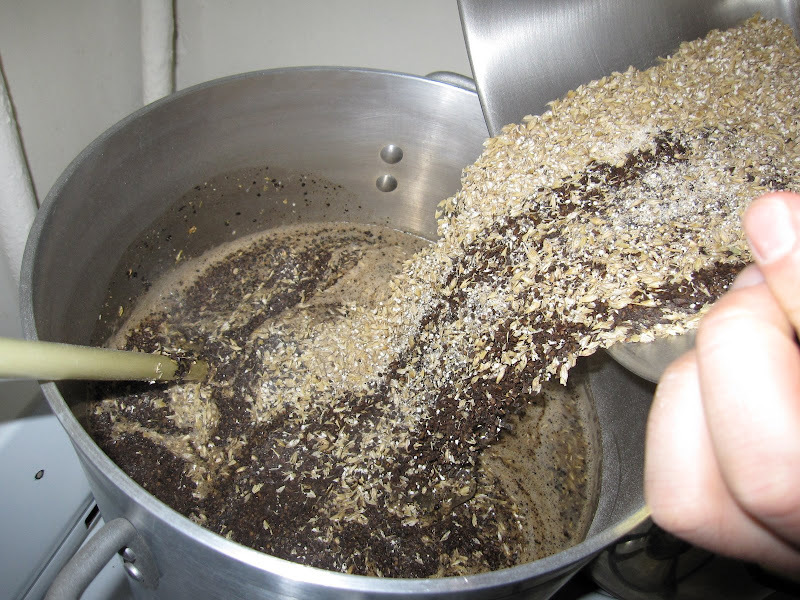 It certainly didn't feel like a year, but we did our very first brew in September 2007. So when our one year anniversary came around, we realized we still had at least one or two of each of our brews. We had a massively huge ceremony with over 100 different speakers to reflect back on our wonderful year of twelve brewings. The conclusion? We still have a ways to go. Our best beers were the ones we made with extract kits, rather than our all-grain. That's ok, though. We've probably done about six since these, and each one is better than the last. 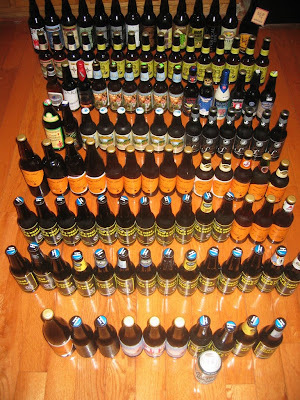 In March '08 I decided to see exactly how much beer there was in my apartment. This was the result. A good majority of it is homebrew, as you might notice. This may not be impressive to some, but without a cellar and with only a (small-ish) 2 bedroom apartment, this is a pretty overwhelming amount of beer. Thanks to Heather for putting up with it! 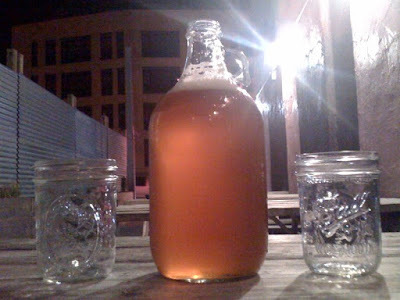 A Growler of Kelso Fette Sauv taken April 7th, 2009 by The Beertographer at Fette Sau in Brooklyn, NY. This beer is certainly paintin' the town brown. Pours dark yet not TOO thick. First sniff reveals a surprisingly chocolate aroma combined with a roasty, coffee touch. 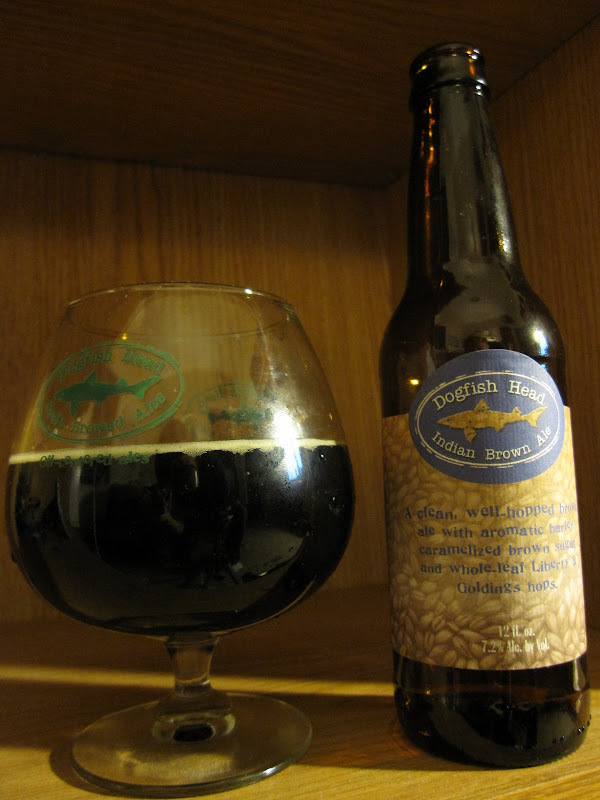 Mouthfeel is incredibly smooth and your first taste is a delicious combo of dark malt and brown sugar. Dang, this is good! It's hard to believe this is 7.2%, you can't taste any hotness at all. Backend is where your hops come in, strong but well-balanced with the dark malt. This is an incredible beer to have readily available in your corner grocer. This is the result of my participation in my first Beer It Forward. 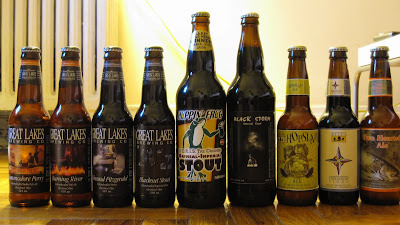 A great sampling of Midwest brews!